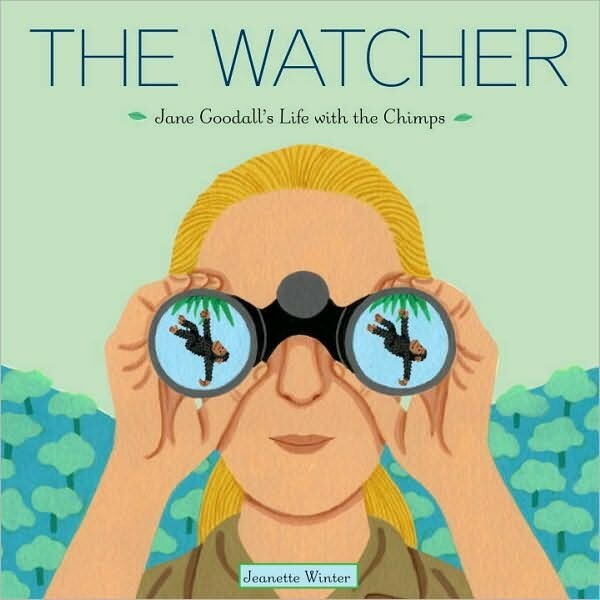 Acclaimed picture book biographer Jeanette Winter has found her perfect subject: Jane Goodall, the great observer of chimpanzees. Follow Jane from her childhood in London watching a robin on her windowsill, to her years in the African forests of Gombe, Tanzania, invited by brilliant scientist Louis Leakey to observe chimps, to her worldwide crusade to save these primates who are now in danger of extinction, and their habitat. Young animal lovers and Winter's many fans will welcome this fascinating and moving portrait of an extraordinary person and the animals to whom she has dedicated her life. For more books and other resources about Jane Goodall, visit our Jane Goodall Collection. Jeanette Winter has written and illustrated almost 50 books for children, including Diego (a New York Times Best Illustrated Book, Parents' Choice Award winner, and Notable Children's Trade Book in the Field of Social Studies), Emily Dickinson's Letters to the World (New York Times Notable Book, Parents' Choice Silver Medal), The Librarian of Basra (ALA Notable Book), My Name Is Georgia (Publishers Weekly Best Book of the Year, ALA Notable, Booklist Editors' Choice), and Mama (Boston Globe-Horn Book Honor Book, Society of Illustrators Silver Medal). Her art with flat colors and perspectives in the folk art tradition have brought her many honors.